- Visibility : Upto 800 Mtrs. - Battery : 1.2 V/800 MAH , HFR Ni-MH Battery. Conventional reflective markers lose their visibility when the roads are wet. 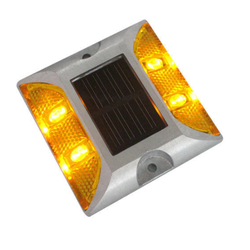 The Solar Road Marker’s active illumination remains brightly visible, unaffected by wet conditions. 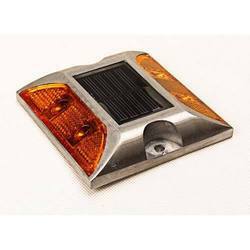 High intensity LED spotlights penetrate fog to help the driver to negotiate curves.